Advancements in MEMS (microelectromechanical systems) technologies are leading (or arguably being led by) increasing miniaturisation - as well as enhanced reliability, accuracy, and performance. 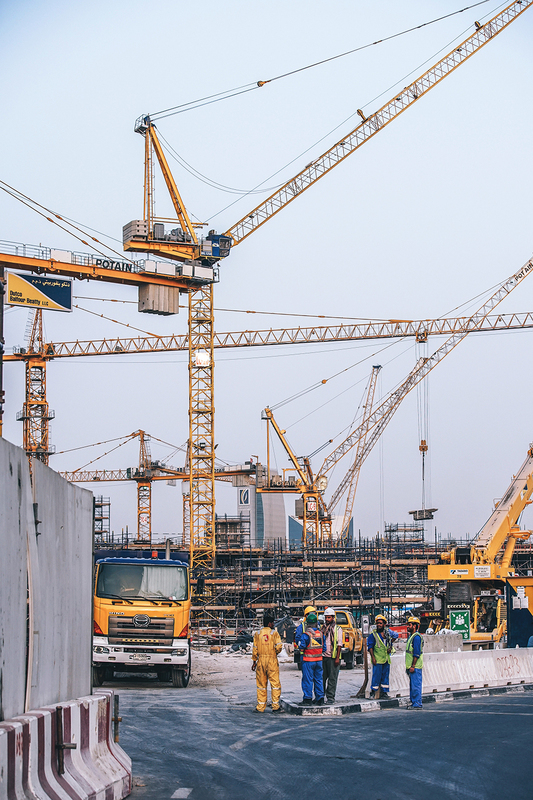 Here Martin Keenan from Avnet Abacus spells out why one major market for new MEMS is the construction industry, especially driven by high demand in areas such as India and China, where huge infrastructure development has led to a rapid increase in demand. That demand is also being driven by a host of new applications for smaller, cheaper MEMS-built sensors and actuators, from dispensing ink in enterprise printers, drugs to hospital patients or reflecting light on tilting micromirrors in digital projectors, to name but a few. This broad base of applications has resulted in enormous growth in demand for MEMS sensors. A recent analyst report predicted that revenues for MEMS sensors such as accelerometers, gyroscope devices, pressure sensors, and microphone chips will grow 10% in 2018 to $6.8 billion compared to nearly $6.1 billion in 2017, which in turn was a 17% increase from $5.2 billion in 2016. As a result, shipments of MEMS-built sensors are forecast to rise about 11% in 2018 to 11.1 billion after growing 19% in 2016. Worldwide shipments of these are expected to grow by a CAGR of 11.4% in the 2017-2022 period to 20.2 billion units. So where are these billions of units headed? One standout market demand has been from the construction industry, where the introduction of fully autonomous haulers in mining operations and the move towards improved safety and accuracy systems on excavators and loaders has picked up pace. Both Komatsu’s intelligent family of products and Caterpillar’s cat Minestar autonomous dumps are real-world examples of automation in today’s construction industry, where the ability to operate 24/7 provides a highly desirable competitive edge. However, there are significant challenges in automating construction industry equipment over and above those faced by consumer vehicles. The most obvious issue is that road-based vehicles have a helpful network of mapped roads to follow, as well as a host of warning signs, lights and road markings designed to aid safety and navigation. Off-road construction vehicles have none of these aids, so rely on a series of sensors to plot their position and orientation (this last being an added complication over the car, which tends not to have booms, buckets or a rotating base like an excavator). These sensors include GPS receivers and antenna, inclination sensors, an Inertial Measurement Unit (IMU) and position sensors. MEMS-built IMUs (such as the industry-standard Murata IMU) will measure 3 dimensions of linear acceleration (3D Accelerometer) and 3 dimensions of rotational rate (3D Gyro), and in some cases a 3D magnetic field too, all in a sub-10 cm cube unit. Another particularly active market for MEMS-built sensors is lidar, both for consumer automotive and enterprise. The benefits of MEMS-built lidar over traditional mechanical multi-beam lidar is enormous - the latter requires more than a hundred laser transmitters and receivers to simultaneously rotate and scan, while a MEMS unit requires only a few laser emitters and receivers to scan the MEMS micromirror in both directions, reducing cost and increasing the ability to mass-produce the sensors enormously. Perhaps most importantly though, the difference in physical size is immense - from a heavy, roof-mounted pod in the case of mechanical multi-beam lidar down to a large matchbox in the MEMS-built version. One example demonstrated at startup-favourite CES 2018 was Robosense’s MEMS solid-state lidar RS-LiDAR-M1, installed in Cainiao’s g-plus driverless delivery vehicle. The automated vehicle is intended to replace traditional home delivery and courier vehicles in the near future - the company expects to start commercial production by the end of 2018. According to Robosense, the MEMS lidar sensor also works for mapping, UAVs, industrial and security applications. A rising trend across the board in vehicle technology is the introduction of MEMS pressure sensors in the form of tyre pressure sensors, initially seen as a luxury addition for high-end vehicles (Porsche and Mercedes being early proponents), but now becoming increasingly widespread in all vehicles as a safety mechanism. Indeed, regulation is also driving demand, as the US government passed the TREAD Act to mandate the installation of the Tyre Pressure Monitoring System (TPMS) in all vehicles sold since 2007. Subsequent analysis of the legislation found that the presence of TPMS was estimated to result in a 55.6% reduction in the likelihood the vehicle would have one or more severely underinflated tyres. Another key application for MEMS-built sensors is in heavy industrial crane systems, where ever-shorter cargo transportation times can lead to increasing load swing when unloading and loading cargo. However, by incorporating low-cost linear MEMS accelerometers and angular rate gyroscopes into bolt-on sensor units, distributed around the crane, the factors that contribute to load swing can be controlled and monitored by the network of sensors, minimising the unwanted and dangerous action. The major benefit here being the ability to retrofit the MEMS sensors to existing cranes easily, quickly and therefore cost effectively. Overall the MEMS-based sensor market is booming, and the rapidly decreasing size of MEMS-built sensors is a critical factor in driving that boom. Increasing interest in automated solutions that can reduce OPEX, drive real world efficiencies and also create safer working environments in a whole host of sectors will continue to accelerate this trend.